This family–run hotel oozes warmth and the superb coffee makes it popular with the locals who pop in for a catch up with the Bernadi family. This a great starting point for exploring the Sella Ronda and beyond as the nearest lift is just 500m away. 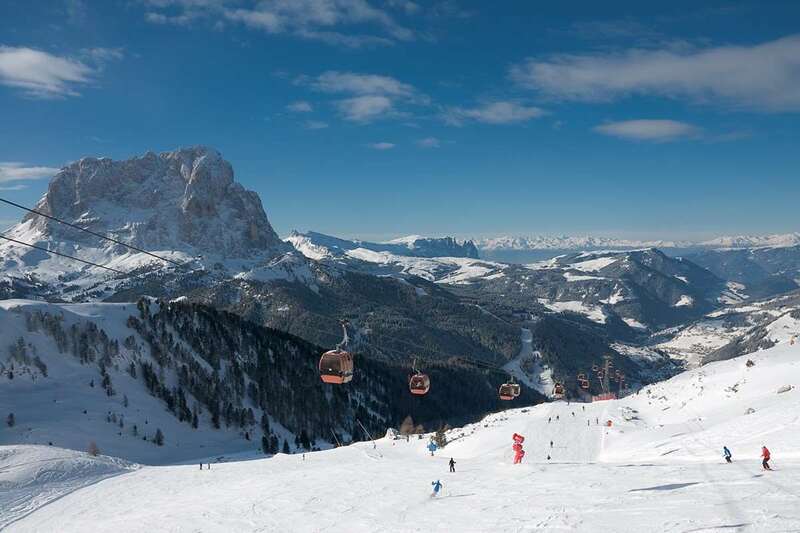 The small and friendly Hotel Flora sits centrally in Selva town, just 500m away from the nearest lift which connects directly into the Sella Ronda circuit and ski school meeting point. The ski bus stop is 50m away. Rooms (2-3 people): Modern & comfortable double rooms, some with a sofa bed (suitable for a child only), have mini-safe, satellite TV, internet connection, hairdryer, bath or shower & wc. Some rooms have a balcony shared with the adjacent room. Double or twin rooms for sole use available. Buffet breakfast and four course evening meal. Christmas & New Year meals included. We have just arrived back following a weeks stay at the Hotel Flora, We were a party of 17. This hotel is really comfortable, very clean, very relaxed and the family are very welcoming. The food and service was excellent and we could not find any fault with the hotel. The only disadvantage is the walk to the slopes, the buses were supposed to run every 15 minutes but they were not reliable, this was difficult when carrying all the ski gear. We would definitely return to this hotel though, it is highly recommended.